I often use scene creators and mockups to present my graphics collections. One of my very favorite ways to showcase my designs is flat lay styling. Flat lay means that we are seeing objects from a top perspective. What I like the most about that type of layout is that you get to be very creative with assembling your own compositions. 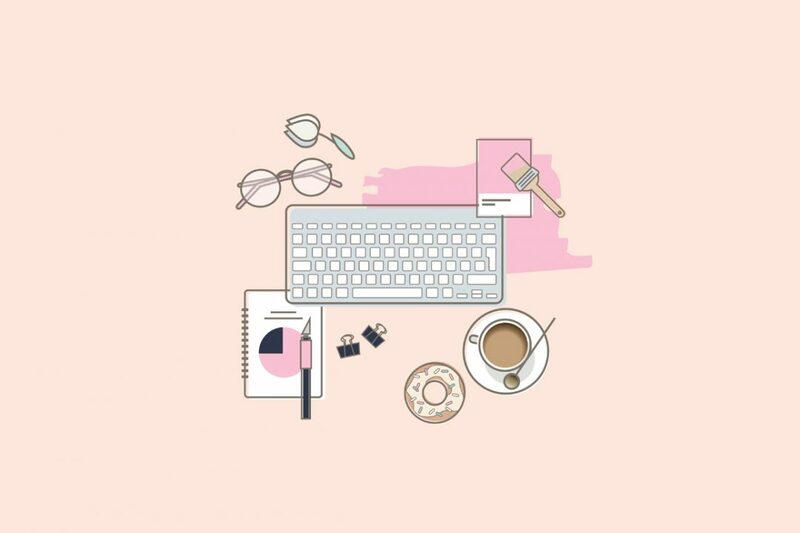 Listed here is a collection of feminine themed scene creators and mockups that I use to present my designs and the ones that are definitely on my wish list. You might have noticed the increased use of gradients in print and web design in 2017/2018. 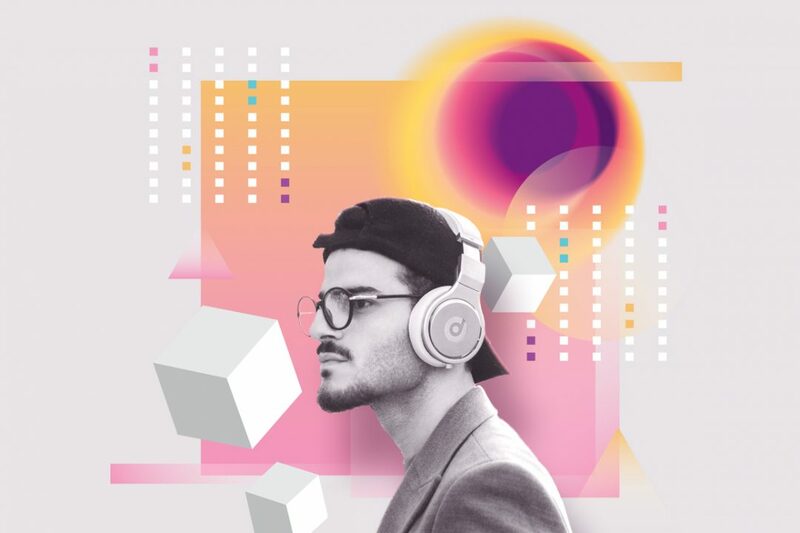 Well, it seems that design communities have embraced this trend and that this type of gradient transitions will only continue to be more and more dynamic in shapes and colors. 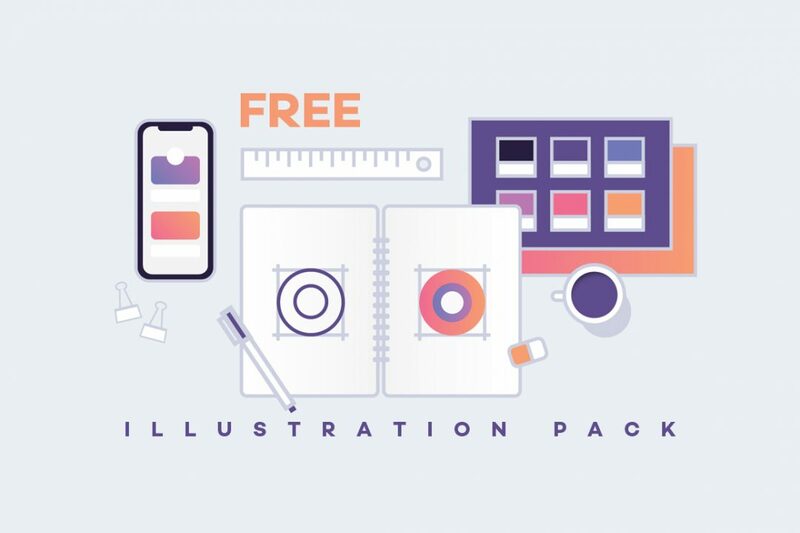 Using colorful shapes and backgrounds is a tricky business if you don`t know how to apply them in a way that will benefit the message you are trying to convey with your design. What are the top 5 gradient trends and how to use them effectively in your work? I am so thrilled to present you with 10 line art illustrations of Designer Workspace! I used colorful gradients and Ultra Violet Pantone color of the year 2018 to achieve modern and up to date look. Designer Workspace is presented in flat lay (top view perspective) and in frontal view so you can choose what works best for you! There are many ways to earn a living as a graphic designer. 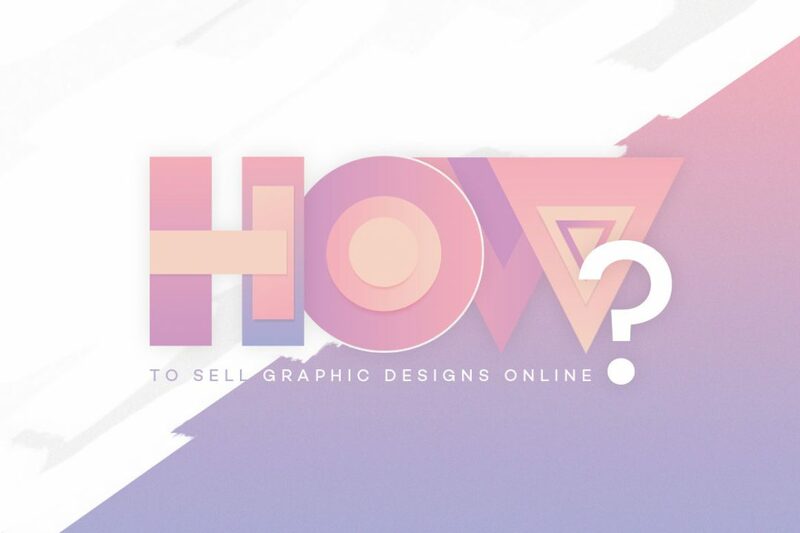 In this blog post, I will cover how to sell graphic designs online. The great thing about selling your art online is that it gives you a freedom that normally you just wouldn`t have. It completely frees you from “nine to five” job. It eliminates long commute to your office and provides you with the ability to work from anywhere in the world as long as you have an Internet connection. Also, it gives you an opportunity to earn money while you sleep which is a great asset to have! If you ever wondered what you can do to become more efficient in your design work, I have 10 steps that will help you achieve just that. Every designer’s dream is to run an effective, well-organized business with plenty of satisfied clients and customers. However, that takes a lot of effort and while I believe that each of us has our own way of doing things, there are some things worth considering. 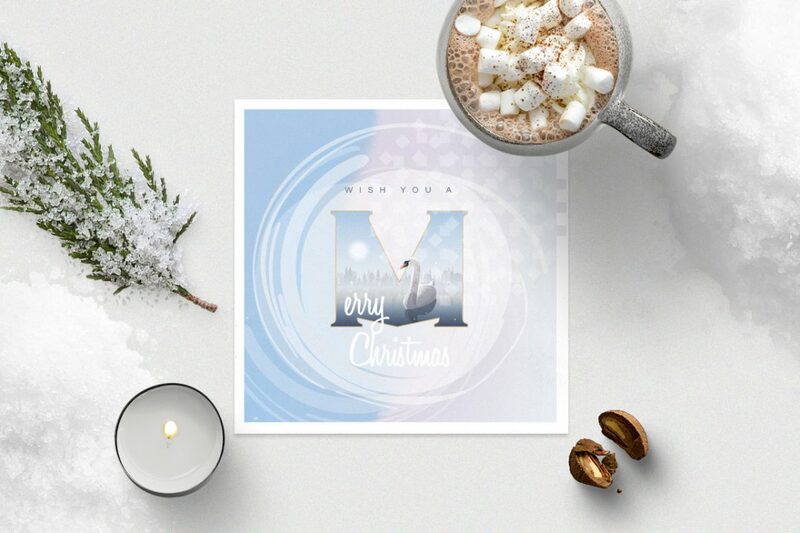 Do you love sending out Christmas greeting cards to your family and friends but don`t have the time to create them or a lot of money to spend? Things get pretty hectic around holidays so it would be nice to have at least one chore scratched off the list. Well, I will be showing you a step by step process of how to DIY (do it yourself) Christmas greeting card. When it comes to poster design or even brochure cover design, focus should be the main goal. To achieve the best possible results I will show you a step by step process of poster/brochure cover design. If you are making a poster the text needs to be a rather large size, depending on the dimensions of the poster it self. Always make sure to test if the text is visible enough in the distance, because that is how the poster will be viewed most of the time. On the other hand, if you are creating a brochure cover, you have a lot more freedom to play with the text. You can choose to make it smaller, bigger or use the combination of both, depending on the effect you are trying to achieve. I am so thrilled that my new Polar Vectors website is finally here! 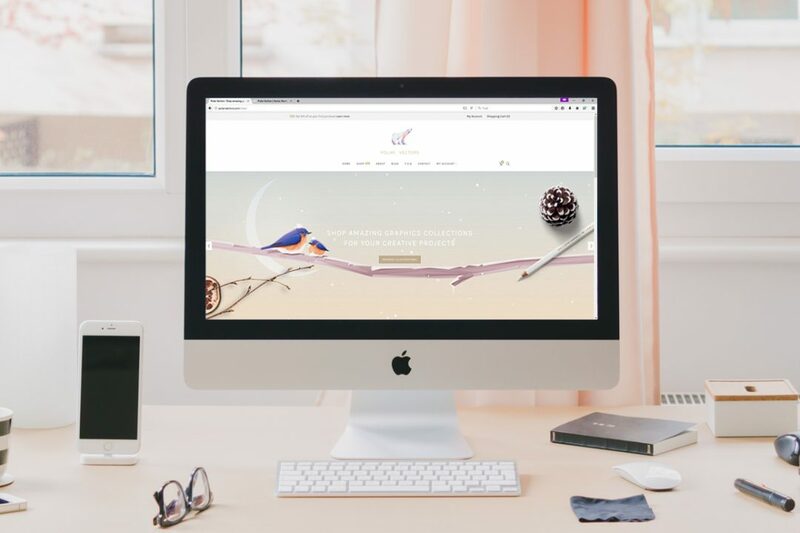 I have thought about a complete redesign of my site for a long time and eventually I decided that I simply can`t reschedule that any longer. It was quite exhausting few weeks but when its all said and done, I can say that I`m totally satisfied with my decision to turn my web upside down and organize a completely new layout. In this short tutorial I will show you how to design your perfect business card using graphics from Polar Vectors Collections. I chose Rose Quartz and Serenity design kit for this tutorial, it is a very fast Step by Step process, your ideal business cards can be ready in just a few minutes. 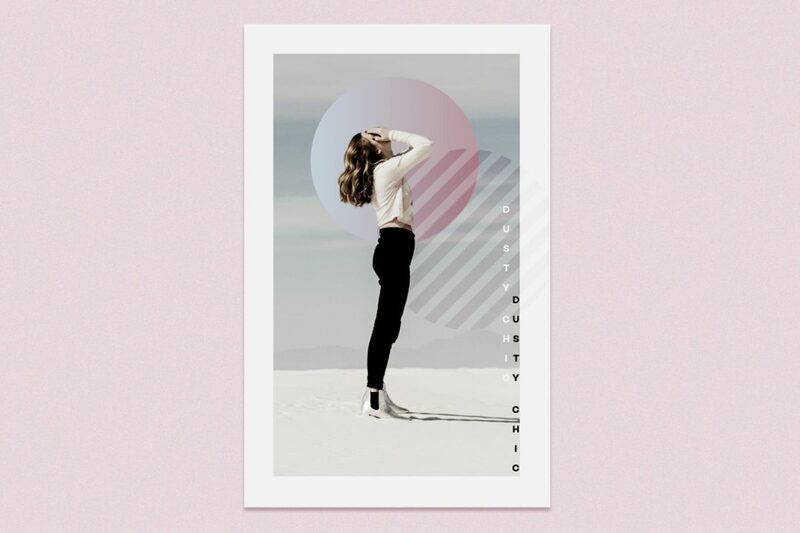 This tutorial will give you an inspiration that you need for your designs or if you decide to buy Rose Quartz and Serenity design kit it will certainly save your much valuable time! 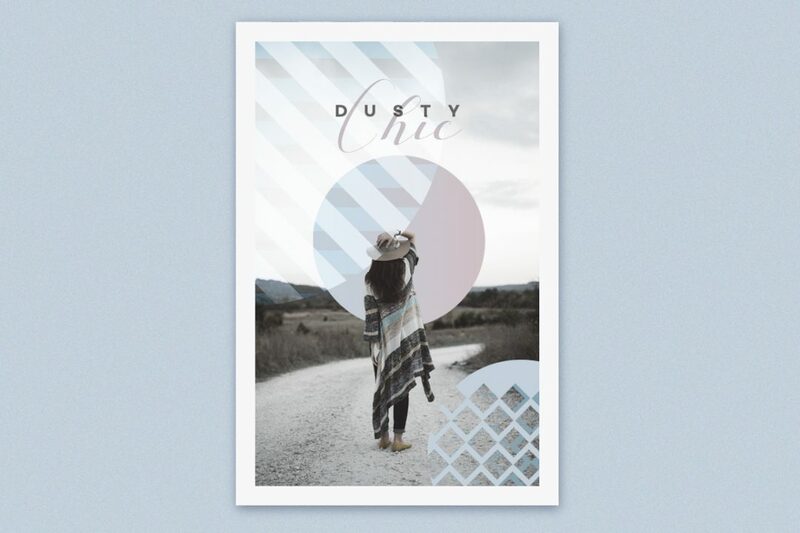 Rose Quartz and Serenity are the Pantone`s colors of the year 2016 and they where an inspiration for this design kit. It contains template cards with minimal geometric patterns, abstract elements and icons, color palette and more! This huge set is not only filled with 14 beautiful seashells, but it also contains 7 types of pearls, 18 seamless patterns, 4 magical wreaths and best of all…customizable glass decor! You can create your own glass filled with sand and seashell arrangements. 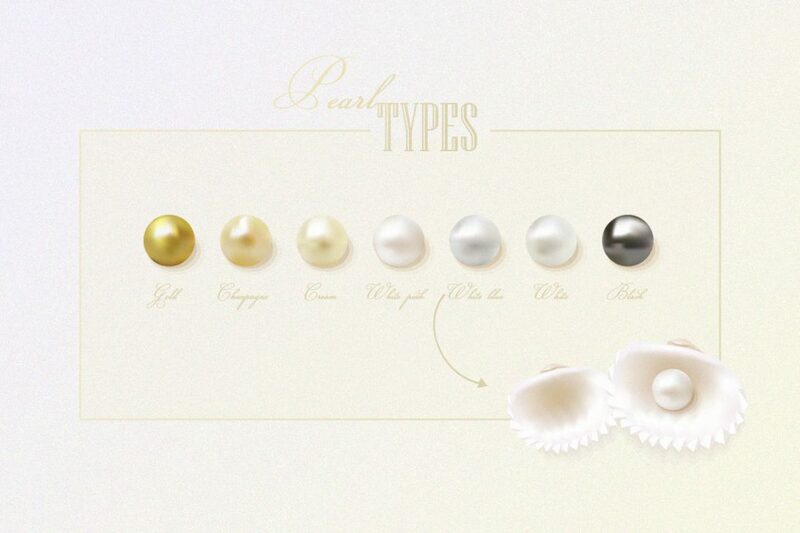 There is already 3 premade designs of seashell arrangements if you need to design something in a hurry. 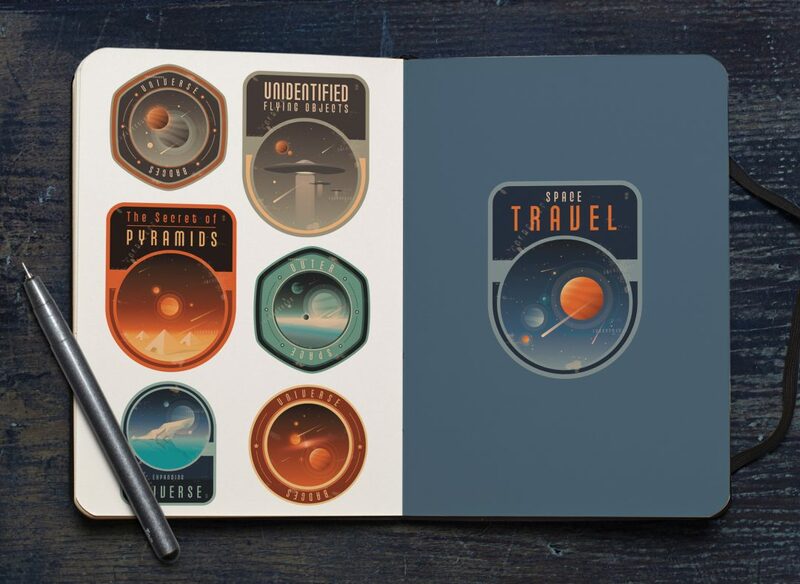 This set will work awesome with Adobe Illustrator and Photoshop. It contains vector formats (AI, EPS10) and PNG raster images saved with transparent background in high res. Seamless patterns are made as high res JPEG raster images in sizes 1000x1000px and 2000x 2000px. 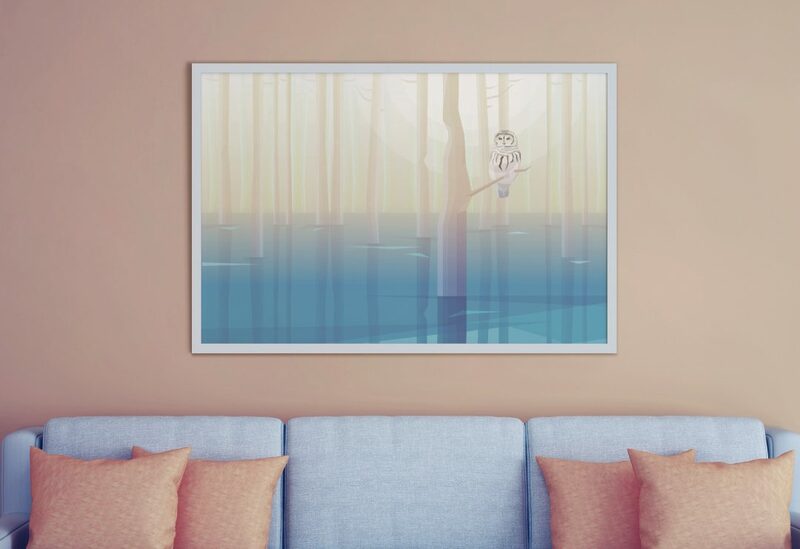 Customizable glass decor comes in AI, EPS10 vector formats, layered PSD file, and as PNG raster images, super easy to use! Dive in and explore this amazing collection of Oceanic Rulers! 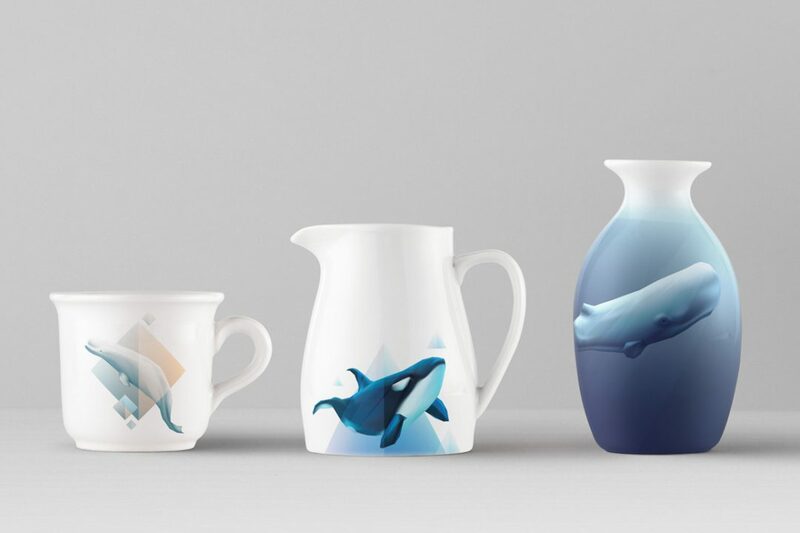 You will find the most beautiful creatures swimming under the blue ocean surface: Blue whale, Orca Killer whale, Humpback whale, Minke whale, Beluga whale and Sperm whale! Get ready to create most mesmerizing designs and artworks with scenic illustrations and modern geometric symbol decorations. Collection contains vector formats ( AI, EPS 10) and raster images (JPEG and PNG images saved with transparent backgrounds). All artwork is in high res (300 dpi). In this tutorial I will show you how to illustrate a polygonal portrait of a dog (Jack Russell terrier) in Adobe Illustrator. It is taken in two parts, you are watching PART 1. You can find the finished illustration here on Polar Vectors inside of a beautiful seamless pattern collection My Daily Dog Patterns! Image of a dog that I`m using as a reference is taken by Irene Davila (Unsplash.com). 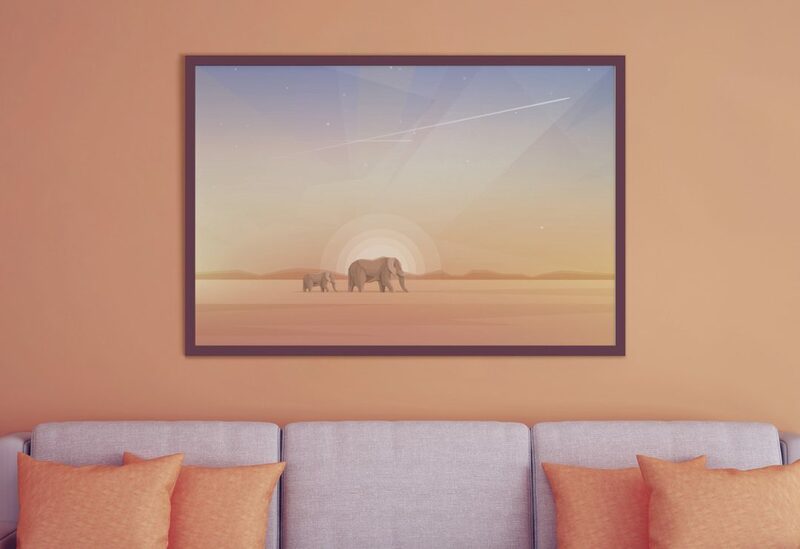 If you are considering to decorate your home with art and you want something fresh and different consider buying a contemporary wildlife wallpapers. Why wallpapers? They are a low cost commodity, very affordable way for everyone to have an interesting and beautiful art on their walls. In this days you are probably trying to low all unnecessary costs. By choosing digital art that can be printed out in any size you want for a low cost you are doing just that. By now you are probably asking, but what about art value? That is the great part! We are now in digital age, and buying an art that is in a digital format does not mean that you didn`t acquire it from an artist. It just means that this particular art can be reproduced many times and therefore an artist can afford to reduce the price on a more acceptable manner for their clients. All artworks featured here are a part of Magnificent Wildlife Collection, stop by and see more! 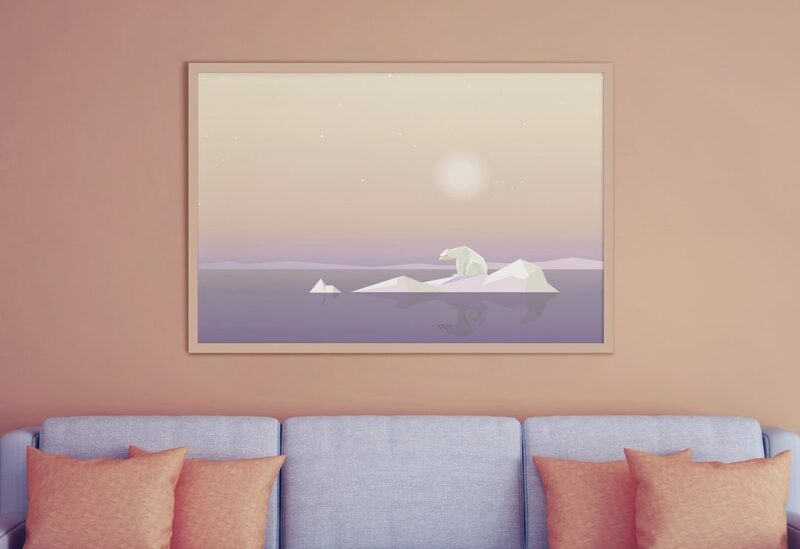 I took a Global warming theme for this video, it is a step by step process in creating a minimal low polygon ocean view landscape with polar bear standing on a melting iceberg formation. I selected color pallete in advance and used the same chosen colors throughout the illustration design. I was working out the concept as i drew so there is a few breaks while i was thinking about what will be my next step, hopefully you will find it helpful or simply inspiring.